It’s worth looking for, Alexandra, and not so hard to find with directions. Oh how nice, I would love to check this out and have an experience like this soon. I frankly had no clue this place had so much to offer. What a super fun statue! I love how locals take care of it with hats and scarves. I’ll definitely check it out if I ever get to Stockholm. Yes, definitely fun, Cindy. He set me up for a “smile all day” rest of the walking tour. Oh wow, this is so cute. What a great piece of art. I would love to see this when I visit Stickholm. I think you’d enjoy Stockholm, Daphne, and yeas, I love how the local people dress him up in all sorts of outfits and bring flowers, candy and gifts to keep him happy. 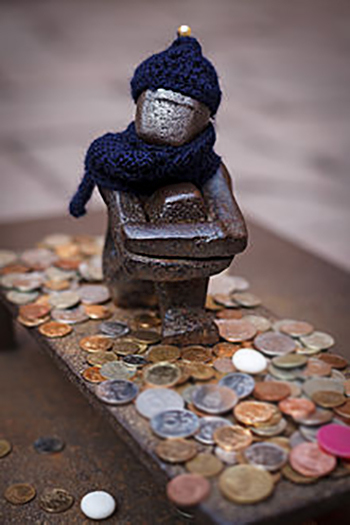 I would love to visit Stockholm and how cute is that little hat and scarf. This sculpture is so beautiful I didn’t know it existed! my first thought when I saw your picture was “hoe sweet!” so no wonder the people of Stockholm care for it that much if they find them as sweet as I do! Sweet is the perfect description, Nati. Thanks for commenting. Haha I love unique and secret areas and it’s fun to find new things where you don’t expect. I’m the same way, Claire, always looking for those “hidden treasures.” Happy travels. Charming post! 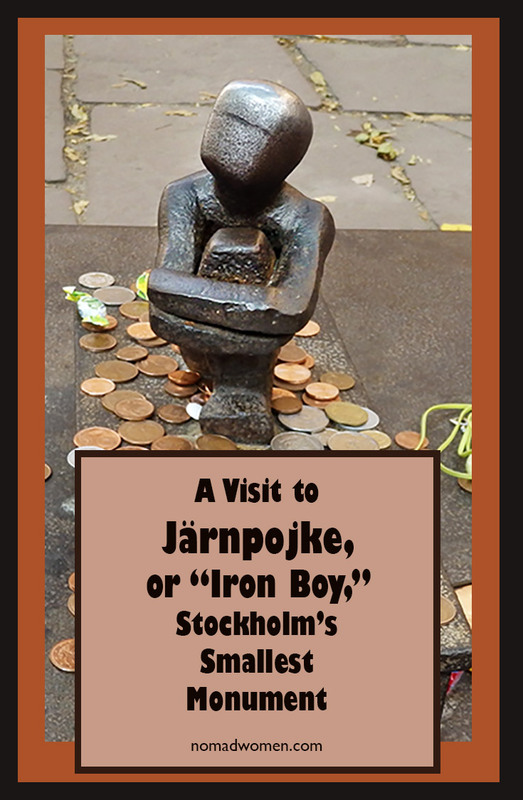 I hadn’t heard of this little gem, but will certainly seek out Järnpolke on my next visit to Stockholm. 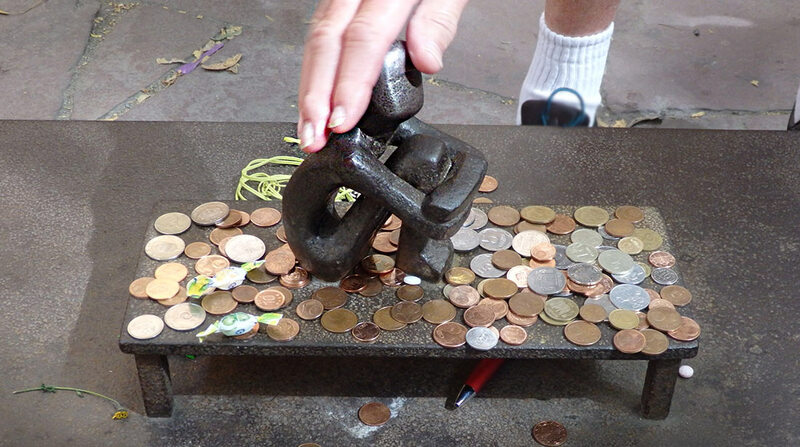 Interesting post about the Iron Boy. I’d love to visit him in Stockholm. 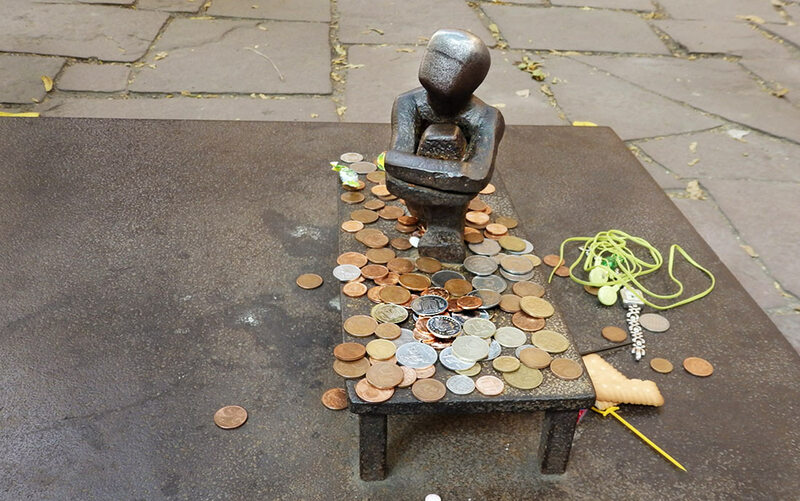 Despite the tiny size of this monument, it looks very cute. It’s clear why it attracts a lot of attention from tourists and citizens. Thanks for the kudos, Debbie. I’m glad you liked it. Yep, call me a carry-on woman. Hi! 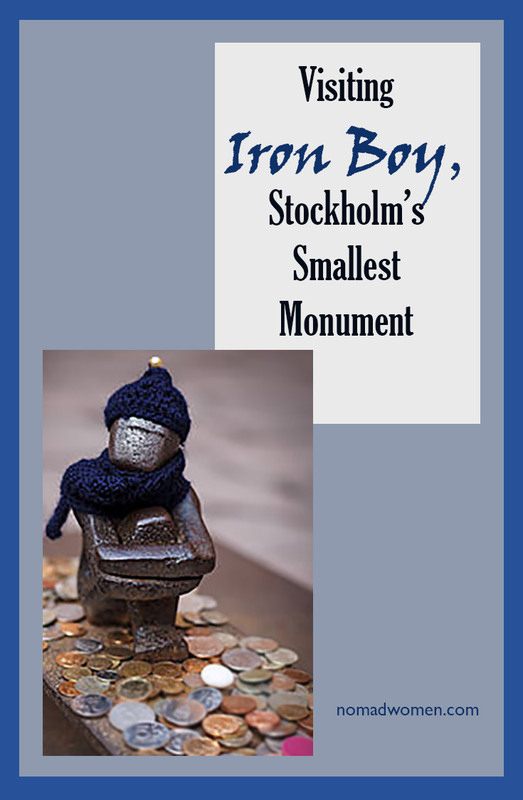 Thank you for writing this interesting post about the Iron Boy. I liked the whole story and enjoyed reading it.